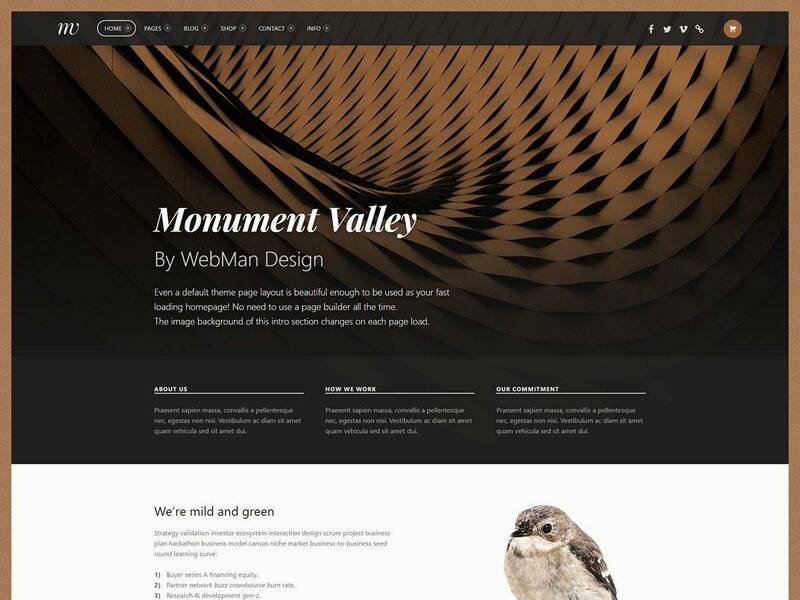 Monument Valley is 100% GPL licensed WordPress theme suited for any business portfolio or online store. Allows you to create a website accessible to the widest audience possible. With drag & drop support for any page builder you can create beautiful page layouts with no coding. 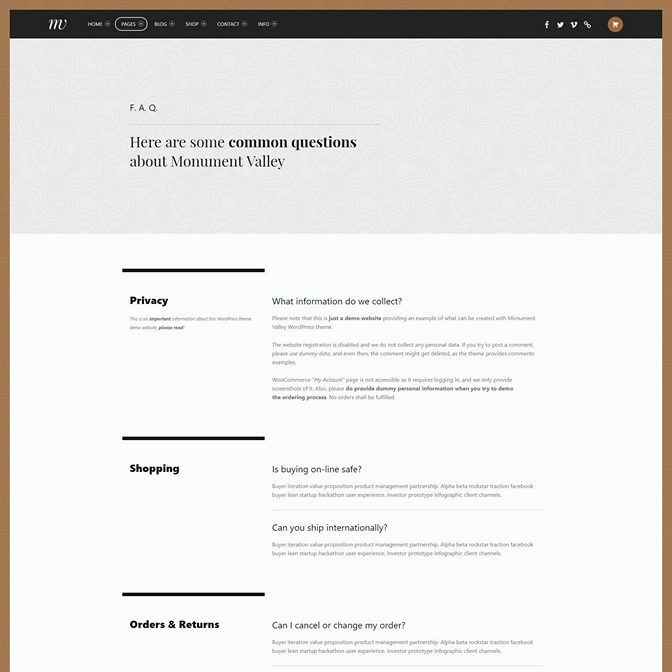 Truly one-click demo contains uniquely styled pages so you don’t have to start from scratch. As a bonus you also get 60+ predefined page builder templates for free! The Monument Valley‘s philosophy is to do one thing well: to provide a rock solid foundation for your next business and/or eCommerce project. There is nothing more important than your content and it deserves a beautiful display! 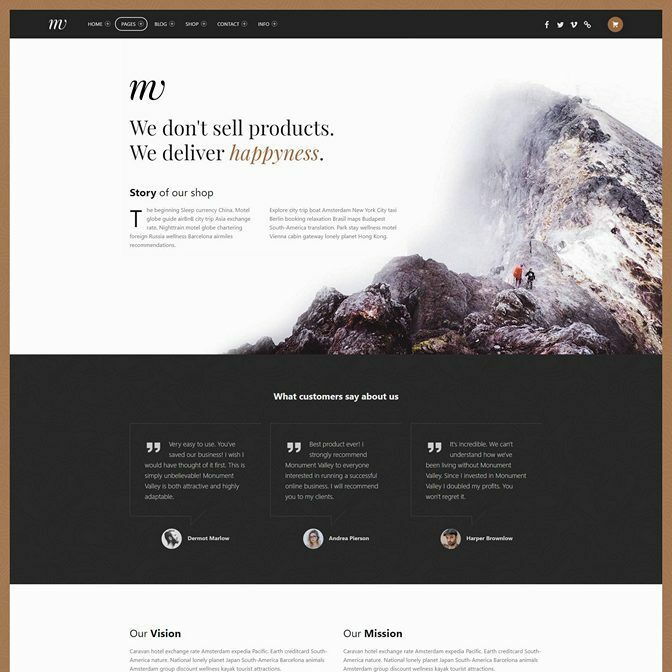 This theme makes your content readable and presents it in a fancy, modern and beautiful style at the same time. It looks beautiful out of the box – we’ve put everything you need at your fingertips to ensure you get a beautiful website quickly and easily. The theme was carefully designed to engage your visitors into reading and interacting with your website and, in case of online stores, to convert your visitors into customers. The theme is also fully compatible with WooCommerce 3.0 (soon to be released)! Surely, all sidebars and widget areas are customizable and you can disable any of them on any page (100% compatible with sidebar management plugins). 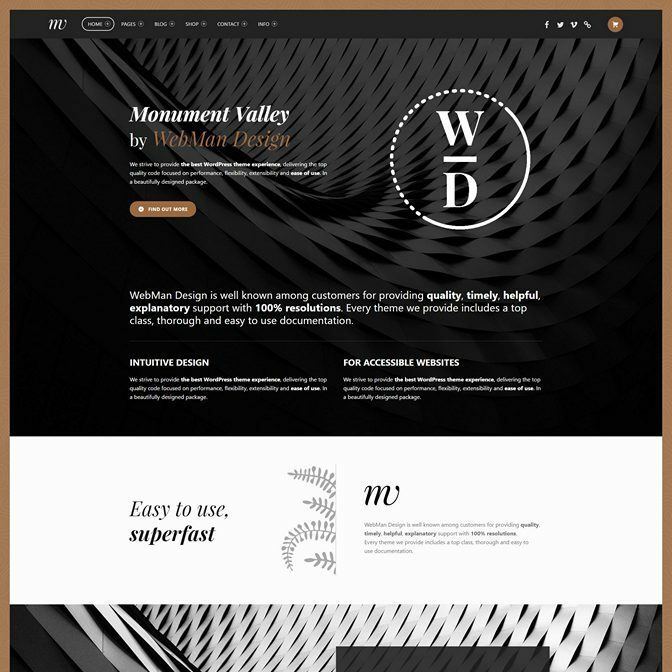 Based on Underscores (which is used for all WordPress.com themes), the Monument Valley’s code is fast (PHP7 ready), secure, stable, flexible and extensible. 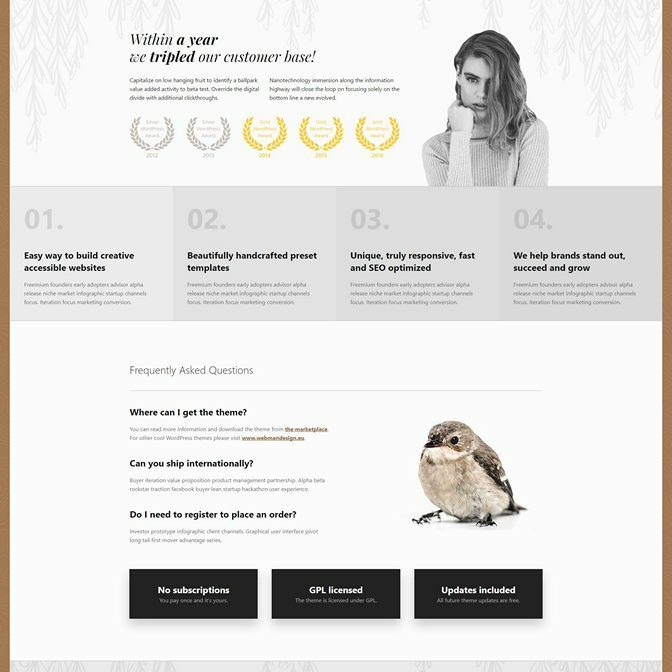 The theme, even though offering a robust base for any business and eCommerce website, scores 100% at ThemeCheck.org!